People have different body shapes. And that should be reflected in your art. 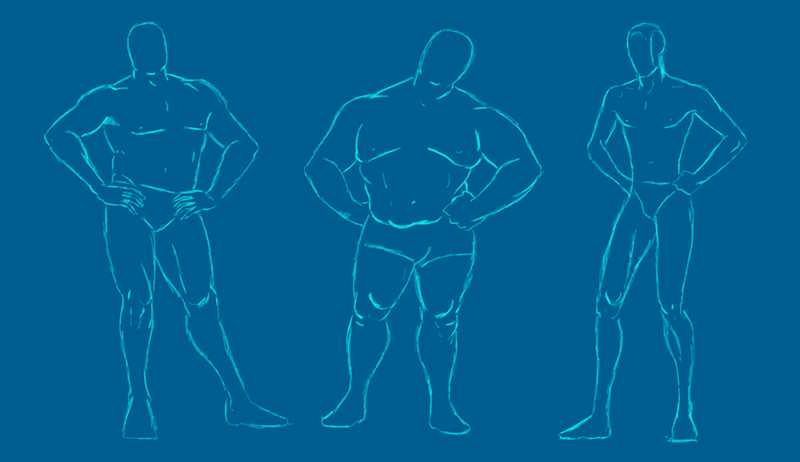 Do not get stuck and draw the same body shape and height for every character. Artists somehow fixate on the perfect proportions they learn in class and books and only draw that body type. Remember that everything you draw it's based on shapes. Use that to your advantage when you're designing characters. 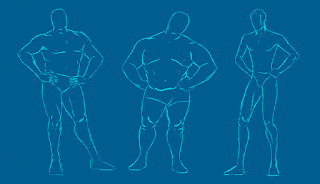 You can give them distinctive silhouettes, which help to identify your characters. It doesn't matter whether they are realistic or cartoony. You can get a lot of mileage out of the posture of your character. Do they slump? Have good posture? Are they humpback? Where are all the humpbacks nowadays?